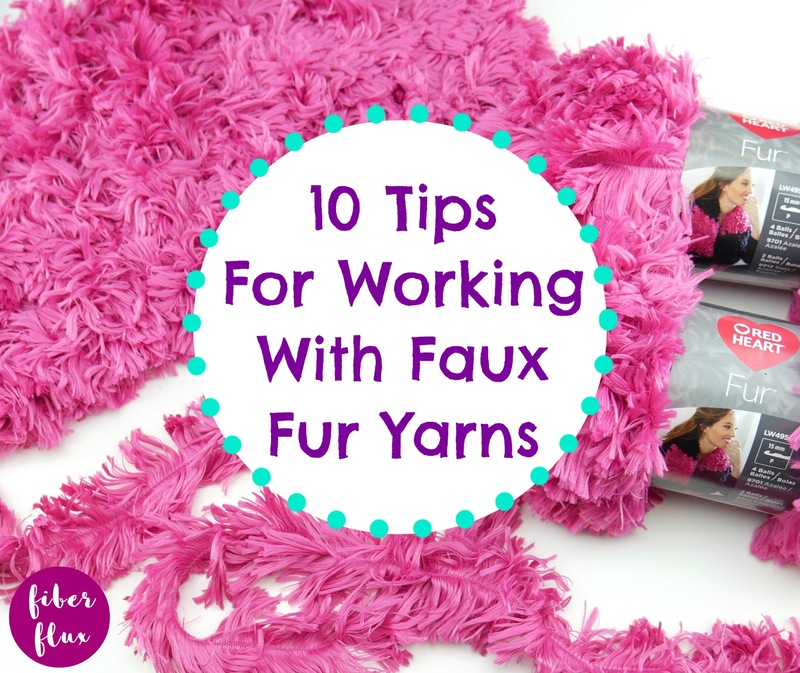 With the popularity of the faux fur right now, I've been getting lots of questions on how to use it, so I thought I'd share 10 helpful tips when making your next project! 1. Keep it simple, try easy patterns and projects with simple, basic stitches. 2. If you are learning to crochet, try using a smoother ply traditional yarn to learn the stitches. Later you can apply your new skills to more textured yarns. 3. 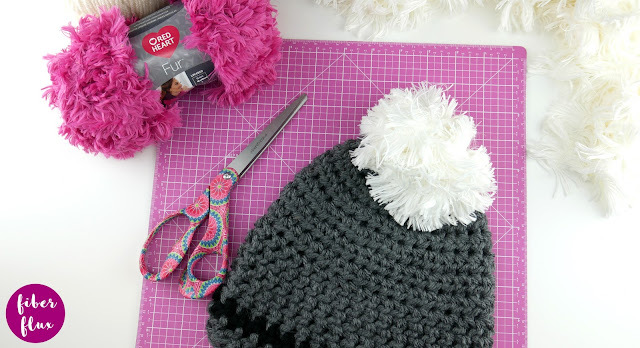 Use large hooks and needles, it is especially helpful as the yarn is very thick and fluffy. 4. Create a sample swatch to learn how the yarn behaves. 5. Sometimes you may have to feel for the stitches when you can't see them. 7. Go slow, with a nice fluid and steady motion to prevent twisting and tangling. 8. Still having trouble finding the stitches? Try working into the spaces instead. 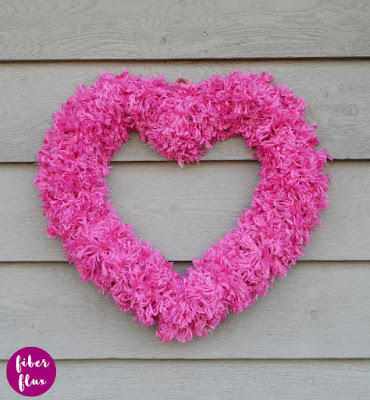 10.If you have some yarn left, try using it as a unique and extra fluffy garland too! I hope these tips help you lovelies! Have you used this type of yarn before? Have additional tips? Share in the comments! I also love fur yarn, what I like to do is when I'm crocheting a stitch, I pull the stitch up high and then tighten before I go to the next stitch. That will pull out the the fur that gets tucked in and "fluff" it out. 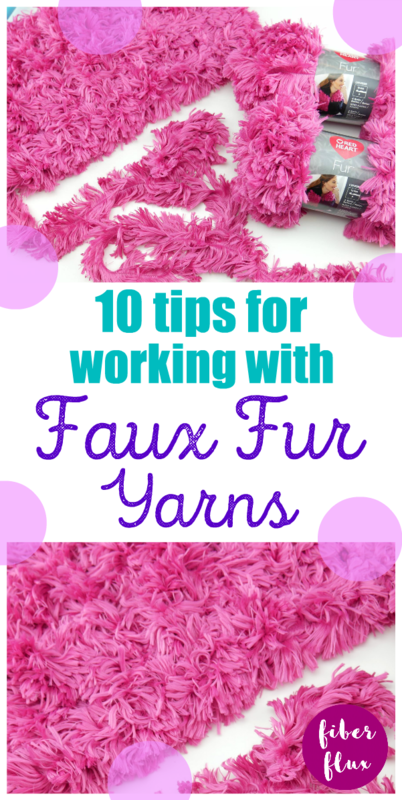 Use a traditional yarn along with the faux fur. It's easier to find and follow the stitches and it gives an interesting effect.